Seventh Heaven Event Catering loves weddings and as your wedding caterer, we are committed to helping you put all the details in place as well as deliver a flawless execution of your dream wedding. Being first and foremost a catering company, we will provide you with the perfect menu for your special day. But we won’t stop there. We can supply and manage all rentals and labour for the big event, too. 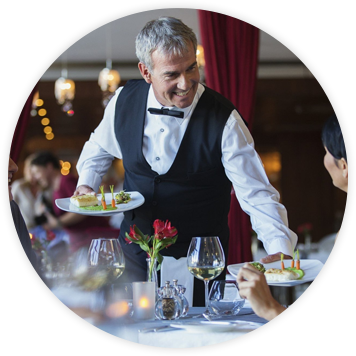 We have an excellent team of professional chefs, event consultants, and service personnel who embrace every opportunity to provide clients with the best possible experience. In fact, we offer our expertise to manage any of the other key services you will need to make your day a success. For example, we can oversee all areas of customized menu creation, full event design, venue selection, décor, floral, rentals of every nature, entertainment, and staffing. Seventh Heaven will help bring your vision of the perfect wedding to life. Food is our passion and we want everyone to taste it. Let our chefs concoct a menu fit for kings and queens to please your guests. There are many ways to fashion a wedding reception, so whatever you have been dreaming of, we can make it happen with a little extra zest. From the hot and cold hors d’oeuvres during cocktail hour to the midnight dessert station, along with every tantalizing course in between, our team is ready to explore the wedding catering possibilities. Of course, there are always guests that require a little extra consideration. Luckily, we endeavour to cater to everybody. Gluten-free? Kosher? Halal? Vegetarian? Vegan? Severe allergy? No problem. 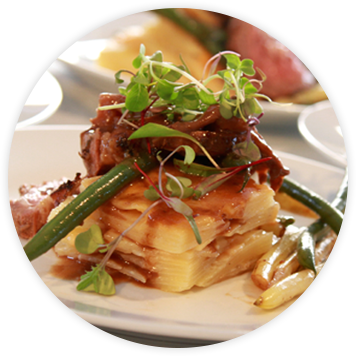 Our accomplished team of culinary professionals will design menus that adhere to all your needs. Seventh Heaven Event Catering understands the importance of having your wedding day run as smooth as silk. We realize how critical professional staff providing impeccable service is to ensuring your perfect day comes to fruition. Let Seventh Heaven take one more worry off your plate on your special day by providing staff who will keep things running seamlessly so you can focus on what the day is really all about—you. Every event starts with a vision. While your vision may be all encompassing, there are a lot of little details and decisions that go into creating the reality. 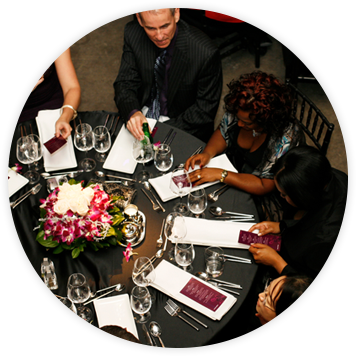 Let our event professionals guide you through all of the options available. 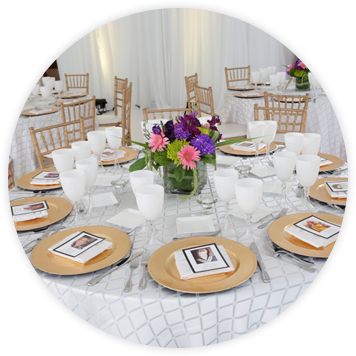 From the look of the linens and chairs to the layout of your tables, right down to the ratio of wine versus pilsner glasses, our experienced team will help you organize everything. Neither you nor your guests want to go thirsty as you celebrate your wedding day! 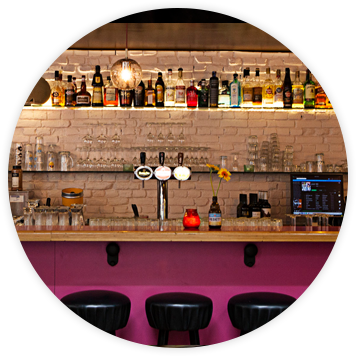 Whether you require properly poured glasses of wine with dinner service, a full licensed bar (or two), a soft drink station, or a specialtycoffee and tea bar, we can provide you with a well manned service. Our flair bartenders add a bit of entertainment and panache to every type of wedding. Let our team become part of the memory of your special day. As you begin planning your wedding day, the excitement begins to mount, but we know that there are a number of important gatherings along the way. We can also provide catering for your bridal showers, brunches, rehearsal dinners,engagement parties, and pre/post ceremony receptions. If your dream wedding includes a picturesque view outside of the city, have no fear because we like to travel. Whether your location is a farm just outside the city limits or is on Wolfe Island in Kingston for your dream garden wedding, Seventh Heaven can help make it happen. To discuss your plans for your special day out of town, please contact us for details.